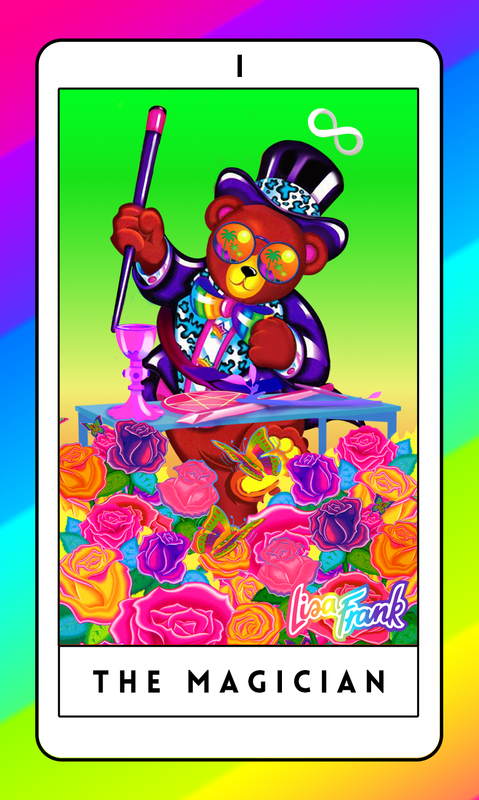 In Rainbows: The Lisa Frank Tarot! 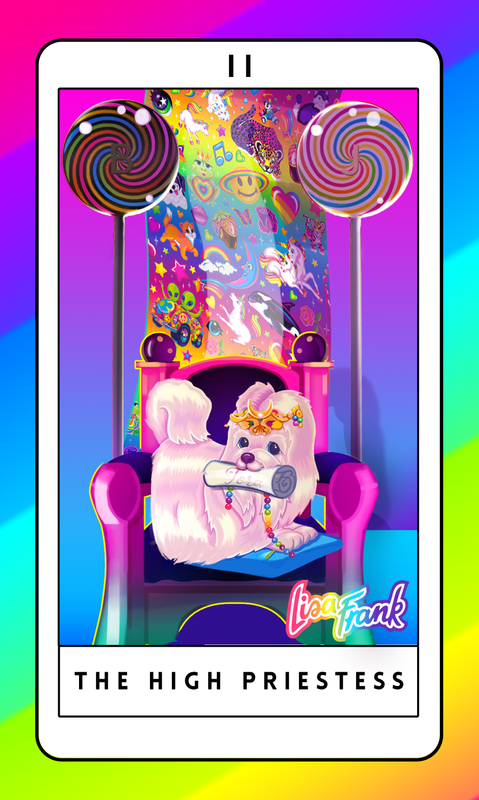 Visual artist Ariel Hart has made all of our childhood dreams come true this week with the official (unofficial) Lisa Frank Tarot deck. 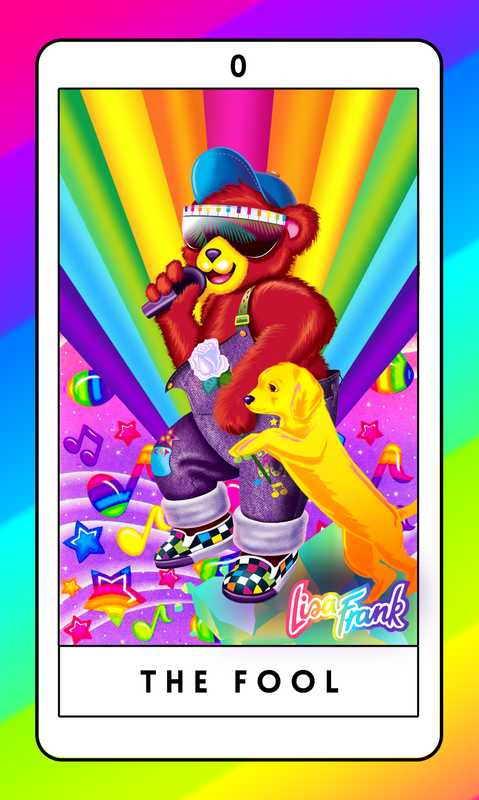 Ariel designed 22 vibrant cards featuring Lisa Frank's most popular magical friends as the major archetypes of the tarot. Our favorites include: Hollywood Bear decked out in his infamous top hat & stunna shades! Rainbow Cheetah, and of course Art school Panda! 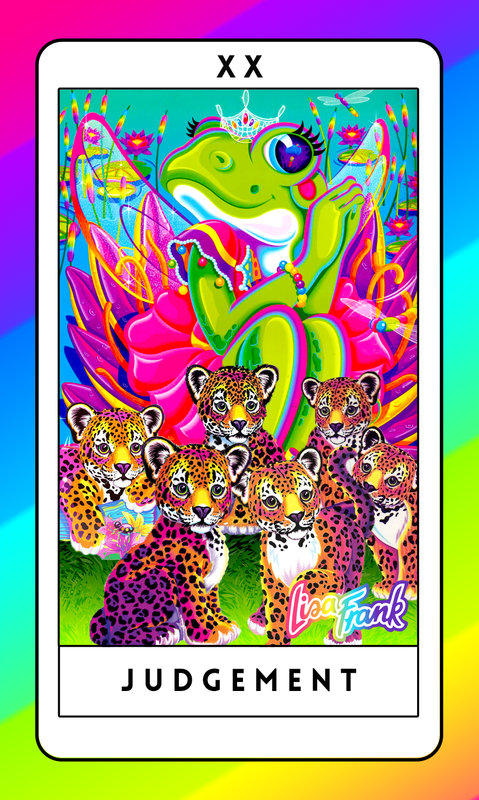 Lisa Frank's visual imagery has always been the epitome of modern mysticism, which is why we feel this deck has been long overdue. If you've never had the pleasure of zoning out in a math class to her majestic dreamscapes where rainbow cheetahs applied your lipstick, or that you could take a ballet class with three beautiful bunnies now is your chance. The best part about this project? The cards are 100% DIY & FREE! Check HERE for link. Enjoy!